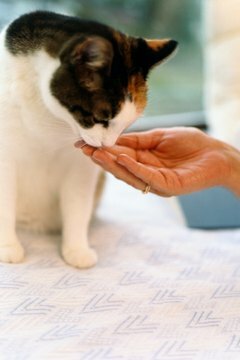 A proper diet is important in managing kidney disease in cats. If Missy has been diagnosed with kidney disease (also called chronic renal failure or CRF), her kidneys have a difficult time filtering waste in her body. A change in diet is recommended to manage the condition. Although it can be challenging, it's important Missy gets proper nutrition during this time. There has been some disagreement over how much protein cats with CRF should ingest. The idea is that high levels of protein can make the kidneys work harder to process the waste that comes with such levels. Others believe the amount of protein in the diet isn't as important as the quality of protein. High quality protein has the correct balance of amino acids that provide your cat with the ability to repair bodily tissues in a way that requires minimal breaking down of the protein. If Missy has CRF, your vet has probably recommended a prescription food for her that is specially formulated with enough high quality protein to meet her nutritional needs. If she has accepted the new food as part of her regular diet, managing her nutritional needs will be fairly simple. If she will not accept prescription food, don't get discouraged. Vet Info recommends looking for food "with pure protein sources and little to no plant matter or fiber." There is little debate about the importance of minimizing the amount of phosphorus that Missy gets in her diet. Phosphorus is in almost every food and when a cat's kidneys are healthy, the mineral is excreted from the body through the kidneys. In a CRF cat the kidneys can't process the extra phosphorus, which can make her feel sick. Controlling Missy's phosphorus levels through diet will make her kidneys work more efficiently and help her feel better. 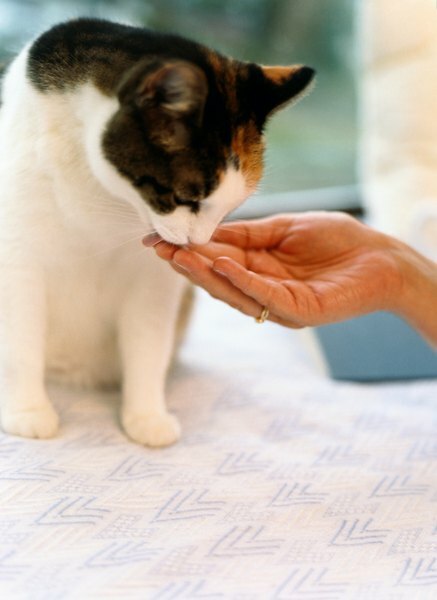 Often, cats find the prescription diets unpalatable because of the reduced protein levels and will refuse to eat them. Many people are able to work through this process and transition their cat to a new diet. However, it's not unusual for a cat to turn her nose up at the new diet. If this is how Missy is responding to her new food, you can try a different brand or a canned version of the food. Canned food is considered a good choice for a CRF cat because its higher water content can help keep her hydrated. If you are interested in cooking for Missy yourself, you can try a homemade diet. There are a number of cooked and raw options; recipes are in the resources section below. If you decide to try a homemade diet, run the recipe by your vet to make sure Missy's nutritional needs are being met. While limiting phosphorus and balancing protein is important, the critical thing is to make sure that Missy eats. If she simply won't adapt to a new diet, feed her what she will eat. If her phosphorus level is too high (your vet will be monitoring this), then she can take a phosphorus binder that will reduce the amount of phosphorus that Missy absorbs. Don't forget about water; provide plenty of fresh water and if Missy doesn't seem interested, try adding tuna juice or no-salt chicken broth to entice her to drink. Finally, if her appetite is poor, talk to your vet about an appetite stimulant. Sometimes it takes a little incentive for Missy to get her appetite back.